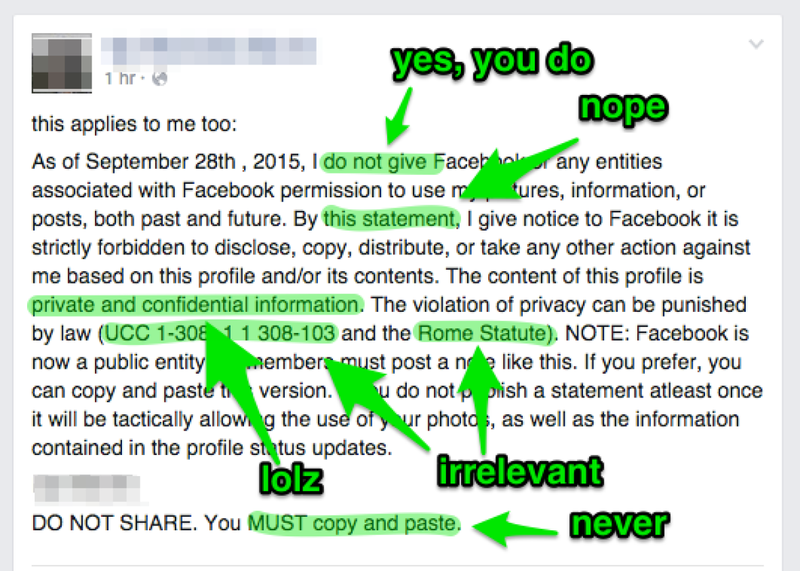 Facebook privacy notice: How to stop the copy-paste hoax from going viral. Fake Privacy Notices Are Going Viral on Facebook Again. Here’s a Way to Stop Them. 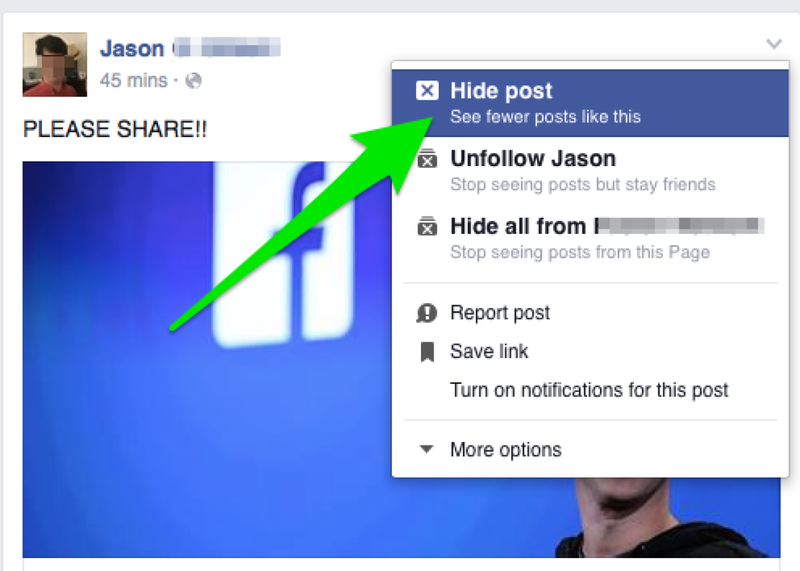 There’s finally a way to stop seeing these kinds of posts in your Facebook feed. They’re back: Like locusts, those viral copy-and-paste privacy notices have emerged from dormancy to swarm your Facebook feed once again. If you’ve logged into the social network in the past day or two, there’s a good chance you know the ones I’m talking about. One, an old standby, makes reference to the Rome Statute, UCC 1-308, and sometimes the “Berner Convention,” and claims to revoke Facebook’s permission to use your pictures or information. I debunked that one back in 2012, and it’s just as laughably false today as it was then. The actual Rome Statute establishes international jurisdiction over war crimes, not Facebook posts, if that gives you an idea of just how far from reality these notices are. Long story short: The bounds of your privacy and intellectual property on Facebook are laid out in Facebook’s terms of service, and nothing you post on your profile will change them. The second viral notice making the rounds this week claims that Facebook has finally set the price it will charge for users to keep their profiles private. It’s $5.99 in the versions I’ve seen, although there might well be variations listing other prices. In any case, it’s just as fabricated as the Rome Statute bit. Facebook has announced no plans to charge users a subscription fee; it probably never will; and even if it did, it there’s no reason to imagine that it would exempt people who copy and paste form letters into their Facebook status. Step 1: Hide the post from your news feed. That alone should help, but you can also go further and tell Facebook that you want to see fewer posts from that user, or even report the post. 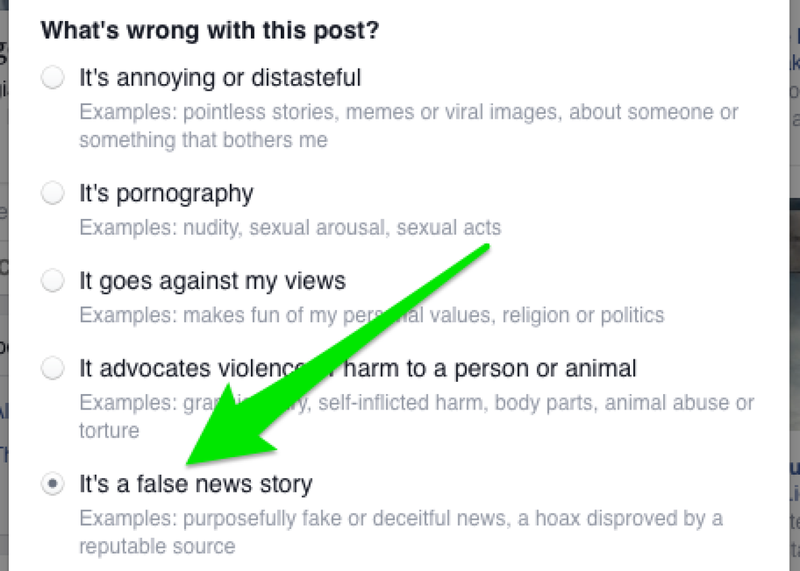 On some versions of Facebook, you can actually flag it specifically as a “fake news story” by first selecting “Report post,” then “I think it shouldn’t be on Facebook,” and finally, “It’s a false news story.” Facebook introduced this option in January to combat the spread of hoaxes like this one. (I had chastised the social network a month earlier for not doing more to inhibit them.) You then have an option to send a message to the friend who posted it. Step 2: Report the post as a false news story. It might take a minute to go through all these steps. But you’ll be doing yourself a service, and you’ll be providing Facebook with data that could help it suppress these chain letters in the future. Of course, you’ll also be providing Facebook with more data about you and your preferences. But as you probably know, that’s true of literally any action you take on the social network, Rome Statutes and “Berner” Conventions notwithstanding. Facebook Is Cracking Down on Viral Hoaxes. Really. That Facebook Copyright Notice Is Still a Hoax.